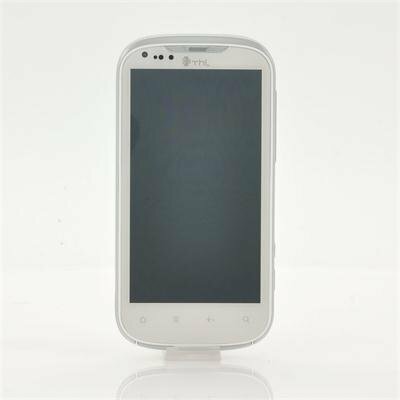 Successfully Added 4.3 Inch Screen Android 4.0 Phone "ThL W1+" - 960x540 Resolution, 1GHz Dual Core CPU (White) to your Shopping Cart. 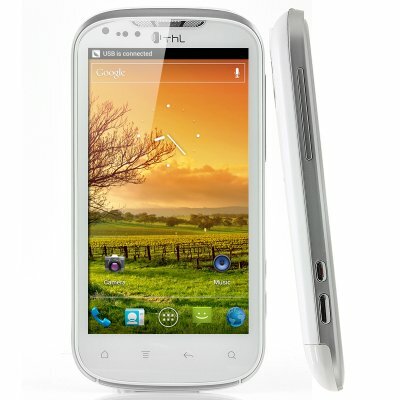 Branded ThL W1+Android 4.0 Phone – 4.3 Inch qHD screen with a 960x540 resolution, 1GHz Dual Core CPU and 1GB RAM. The branded ThL W1+ Android 4.0 phone rocks a qHD display with 960x540 pixels, or exactly one quarter of a 1920x1080 Full HD screen. Together with a 1 GHz dual-core processor, 1GB of RAM and Android 4.0, multitasking becomes a breeze on the W1+. With more than 10 years of experience manufacturing great android phones and a worldwide customer base, ThL built this high-end W1+ Android phone. Combining a fast Dual Core CPU clocking at 1GHz with 1GB of RAM the phone is able to deliver optimized performance and can easily multitask. The qHD 4.3 Inch screen of the W1+ has a resolution of 960x540 and performs great displaying high quality images and videos. Running Android 4.0 Ice Cream Sandwich, the W1+ has one of Android’s most advanced operating systems. Not only is Android 4.0 fast, but it also gives you a high level of customization options and a big app store with more than 600.000 Apps to choose from. Install any app, from YouTube over Facebook and Angry birds to Twitter and the ThL W1+ will run it with ease. Snap a picture with the 8MP camera, save it on the 4GB of internal memory or on a Micro SD card of up to 32GB and enjoy the great picture quality on the qHD screen. This is your chance to buy the ThL W1+ at a low wholesale price! In stock now, we guarantee next day shipping and offer a 12 months warranty on all our products. Brought to you by the leader in wholesale Android Phones, Chinavasion. on 2013-03-04 17:03:20 Fast delivery, reliable, very good phone. Fast delivery, reliable, very good phone.